1.What does the Amylograph measure? The amylograph records the changes in the viscosity of a flour-and-water suspension caused by gelatinization of the starch during a controlled heating period. The Amylogram therefore shows the changes in water-binding capacity that take place during swelling and gelatinization and in the course of enzymatic and mechanical breakdown of the starch gel. 2. What is the connection between the Amylogram and the Falling Number? There is no direct connection between the Falling Number and the Amylogram data, but a mathematical/statistical orientation in the same direction does exist (if the number of measurements is large enough!). This should be checked for each new harvest. 3. What does a Rapid Visco analyser measure? The RVA is a “micro-amylograph” that combines the advantages of a small sample (2-4g) and the possibility of setting any desired temperature gradient. A distinction is made between a “stirring number” and “rapid pasting”; these correlate closely with the Falling Number and the Amylogram. 4. Can fungal ά-amylase be detected with the Amylograph? No; unlike the Fungal Falling Number method, the Amylograph does not distinguish between amylases with different temperature-activity profiles. 1.What is measured in a Farinograph? The most important “recording mixers” are the Brabender Farinograph and the Swanson Working Mixograph. Both record the water absorption of a dough. They differ chiefly in their mixing method and thus in the mechanical stress to which the dough is exposed, but also in respect of the ratio of flour to water or the amount of water added to start mixing. 2. 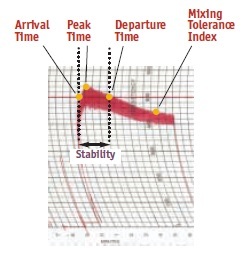 Are there correlations between the Farinogram and the industrial mixing process? Yes, but there are considerable differences too. The Farinograph uses a double-Z mixing device. The energy input is very high, the doughs are subjected to heavy stress. Since the doughs are small and therefore have a large surface area a large amount of air and thus oxygen can reach them, which accelerates oxidative (gluten-strengthening) processes. Nevertheless, it can be said in general that doughs that are stable in the Farinograph will be stable in the industrial mixing process too. Water absorption is a more complex matter. It is determined by adding as much water to the flour as is necessary to achieve a specified resistance to kneading. 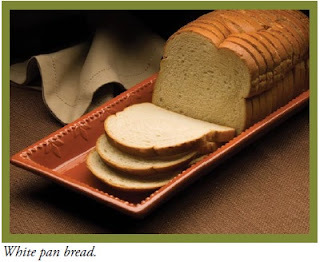 But if a dough is pliant, for example through the addition of emulsifiers, its stickiness and resistance are reduced. This leads to the conclusion that its water absorption is lower, although the dough would really be able to teke up more water and would certainly be processable. 3. Do Farinograms have any practical significance for rating non-wheat flours? Only the properties of wheat flours can be determined reliably with the Farinograph. 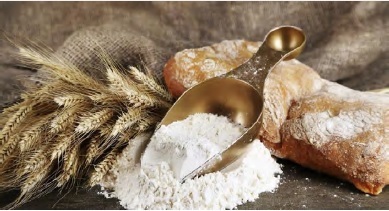 All attempts to test other flours must be regarded as futile, since the Farinograph was developed especially for the visco-elastic properties of wheat dough. The use of other flours in the standard mixer easily leads to misinterpretation of the results, since the stickiness of these doughs and their plastic properties can not be measured. 4. Is there any correlation between the Farinogram and baking properties? In the continuous quality control system of a flour mill there is a strong correlation. But if wheat flours from different wheat batches or different producers ate to be evaluated, the Farinogram is only of limited use. In principle, the Farinograph should be able to indicate important flour parameters such as water absorption, dough stability and mixing tolerance; but additives, especially, may modify the resulting curves in such a way that wrong conclusions can be drawn. 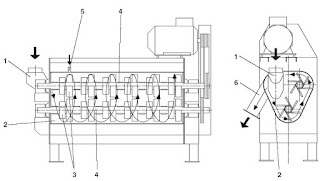 Nevertheless, the Farinograph can also be used for quality control of treated flour in order to minimize the number of baking tests; an internal standard has to be created for this purpose. 5. How can water absorption be increased in the Farinograph (Consistograph)? Hydrocolloids such as guar gum or carboxymethyl cellulose are able to increase water absorption, but some enzymes improve the uptake of water too; they include pentosanase, which acts specifically on the insoluble pentosan fraction. Increased starch damage also increases water absorption but reduces stability. 6. How can water absorption be reduced in the Farinograph (Cansitograph)? Enzymes acting on the water-absorbing flour components, i.e. starch, protein and pentosans, affect water absorption behaviour. Whether or not a reduction can be observed in the Farinograph will depend on the enzymes specificity and dosage. Some oxidizing agents seem to have a negative effect on water absorption. This is caused by a “tunneling” effect: the mixing elements drill holes in the very dry and stiff dough, thus reducing resistance, which will be interpreted as reduced water absorption. 7. How can stability be modified in the Farinograph (Cansitograph)? Increasing the size of the flour particles retards the uptake of water and also the breakdown of flour components, thus prolonging stability. Hydrolytic enzymes accelerate the breakdown and therefore reduce stability. Oxidases strengthen the dough – at least in the Farinograph with its small dough size and large surface: volume ratio (access of oxygen). Strong oxidizing agents reduce stability because they increase the energy uptake during mixing. This is not taken into account by the instrument and will therefore lead to over mixing, i.e. breakdown of the dough structure within a given time. 8. After maximum absorption the Farinogram drops sharply below the 500 F.U. line and ends in a thin curve. What is the reason, and how can I prevent it? The probable cause is proteolytic activity caused by insects (Sunn pest) or from micriobial sources (proteases for biscuit and cracker flour). 9. After maximum absorption the Farinogram decreases for a few minutes, but then it rises even higher than the first max. abs. peak. Whay is that? Granular flour tends to show a retarded maximum. Oxidizing enzymes added to a flour of already good stability will also result in a continuously increasing curve. Furthermore, some strong flours, e.g. from Australian wheat, produce a mixing curve with this shape when treated with oxidizing agents such as azodicarbonamide. 10. What is the reason for a second peak in the Farinogram? This effect is mostly observed with wheat flour rich in protein. The second peak is caused by glutenin, which takes longer to develop than gliadin. The latter is responsible for the first peak. Another reason for two peaks is a mixture of two very different wheats. 11. What is the Chopin Consistograph? A further development of the Alveograph, fitted with a pressure sensor that is connected to a computer for making measurements and processing the results. The device is very userfriendly. 12. Are the results from the Cansistograph comparable to those from the Farinograph? Although the overall correlation is not very high, the general tendencies are similar. A correlation of r = 0.64 has been calculated between the water absorption values determined in the Cansistograph and those of the Brabender Farinograph.